From the ecology of the soul - to the ecology of the universe! 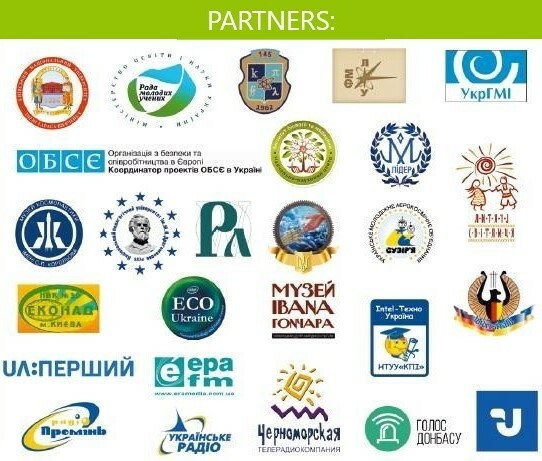 The International Green School (hereinafter - IGS) was established in 2012 with the aim of implementing STrEAM education, the formation of green values, unification in sincere communication, and cooperation. The school is a social project and represented as an alternative to a state school. STrEAM education should be GREEN, that is green in content and educational technology. The International Green School is characterized by a warm and friendly atmosphere and concentrated on teamwork, creative approach to education, and harmonious personality development. WHY DOES THE SCHOOL EXIST? to cultivate a Personality in whom thirst for knowledge and art harmoniously combine with the readiness for mutual support, assistance, and volunteer work as well as a Person who has not only a powerful intelligence but also a tenderheart. meetings and classes with famous scholars, artists, and media professionals. In the International Green School, each project contains of scientific, artistic, ethnic, media, and ecological components. The school implements research-oriented learning, experiments on math, chemistry, astronomy, biology, physics, paleontology, and other subjects (including interdisciplinary). Participants also practice inpainting and shadow theater, participate in master classes in straw plating, making Easter eggs, pottery and other ethnic workshops. Studying folk dances is a necessary part of the program because it contributes to the formation of teamwork spirit. Moreover, children have an opportunity to create their own cartoon in the children's media studio "Birds" and to study at the School of Scientific Journalism. True relationship and clean environment: From the ecology of the soul - to the ecology of the universe! Science - for peace, education - for everyone! Media - for creativity, communication, and joy! Peaceful skies are for everyone! We hold sessions of the International Green School all year round: in summer and winter, autumn and spring. The International Green School invites you to have a rest and study in Carpathians. Do you want to expand the school program? Do you search for some study class for your kid?